The Supreme Lord, Krishna, can be known by persons who are in a relationship with Him through the discharge of devotional service, like Arjuna and his followers. Persons of demonic or atheistic mentality cannot know Krishna. 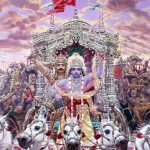 Mental speculation that leads one away from the Supreme Lord is a serious sin, and one who does not know Krishna should not try to comment on Bhagavad-gita. 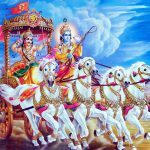 Bhagavad-gita is the statement of Krishna, and since it is the science of Krishna, it should be understood from Krishna as Arjuna understood it. It should not be received from atheistic persons. The Supreme Truth is realized in three aspects: as impersonal Brahman, localized Paramatma and at last as the Supreme Personality of Godhead. So at the last stage of understanding the Absolute Truth, one comes to the Supreme Personality of Godhead. A common man or even a liberated man who has realized impersonal Brahman or localized Paramatma may not understand God’s personality. Such men, therefore, may endeavor to understand the Supreme Person from the verses of Bhagavad-gita, which are being spoken by this person, Krishna. Sometimes the impersonalists accept Krishna as Bhagavan, or they accept His authority. Yet many liberated persons cannot understand Krishna as Purushottama, the Supreme Person. 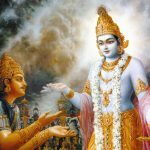 Therefore Arjuna addresses Him as Purushottama. Yet one still may not understand that Krishna is the father of all living entities. Therefore Arjuna addresses Him as Bhuta-bhavana. And if one comes to know Him as the father of all the living entities, still one may not know Him as the supreme controller; therefore He is addressed here as Bhutesa, the supreme controller of everyone. And even if one knows Krishna as the supreme controller of all living entities, still one may not know that He is the origin of all the demigods; therefore He is addressed herein as Devadeva, the worshipful God of all demigods. And even if one knows Him as the worshipful God of all demigods, one may not know that He is the supreme proprietor of everything; therefore He is addressed as Jagatpati. 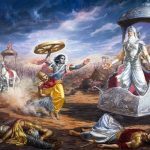 Thus the truth about Krishna is established in this verse by the realization of Arjuna, and we should follow in the footsteps of Arjuna to understand Krishna as He is. Therefore, you alone know about yourself. Your devotee knows that actually you do have birth and are birthless, though such a condition is difficult to exist, but he also does not know by which method it can happen. You alone (eva) know. 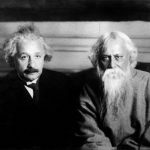 You know through yourself (atmana) alone, not through any other means. Therefore, among all the purusa avataras, creators of the mahat tattva and other elements (purusa avataras), you are supreme (uttama). Not only are you supreme among them. You are the lord of those lords up to Brahma, who have become the creators of all material bodies (bhuta bhavana bhuta isa). Not only are You the lord of all of them, you are also the performer of pastimes (deva), taking the devas as instruments in your pastimes (deva deva). Moreover, out of your infinite mercy, you are the master of those like me (just a dasa) dwelling within the universe (jagad pate). All four of these terms starting with purusottama and ending with jagat pate are in the vocative case. 10.15 O Supreme Person, You Yourself know Yourself by Yourself; namely, by virtue of Your knowledge! O Creator of beings, namely, O Originator of all beings! O Lord of all beings, namely, O Controller of all beings! O God of gods, namely, O the Supreme Deity even of all divinities! Just as the gods surpass men, animals, birds, reptiles etc., in beauty, condescension and the host of auspicious qualities, You, O Lord, in the same manner, transcend all these gods in all these attributes! O Ruler of the universe, O Master of the universe! svayam — personally; eva — certainly; ātmanā — by Yourself; ātmānam — Yourself; vettha — know; tvam — You; puruṣa-uttama — O greatest of all persons; bhūta-bhāvana — O origin of everything; bhūta-īśa — O Lord of everything; deva-deva — O Lord of all demigods; jagat-pate — O Lord of the entire universe.